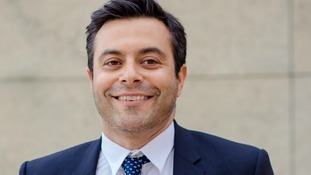 Andrea Radrizzani is the new co-owner of Leeds Utd, after Massimo Cellino sold a 50 per cent stake in the club to him. The Italian businessman, who was born in Milan, is the Founder and Group Chairman of global investment company, Aser, as well as Co-Founder of MP & Silva, and Executive Chairman and Founder of the Play for Change charity. Andrea began his career in the sports media industry in 1999, establishing digital sports content distributor Media Partners. In 2004, he co-founded MP & Silva with Riccardo Silva, launching the sports media agency’s operations from its headquarters in Singapore. It expanded globally into 20 countries, with a turnover of more than $1billion. Through his investment company, Aser, Andrea launched international sports content platform ELEVEN SPORTS in April 2015, and as Founder and Executive Chairman has overseen its expansion into five countries to date – Belgium, Luxembourg, Poland, Singapore and Taiwan. Andrea is also Founder and Executive Chairman of an Aser kids’ sporting platform, a sports site featuring content and activities for youngsters aged 5-12. He co-owns the BIKE and WEAREBIKE.com, platforms available in the UK and Italy, with expansion plans to reach the growing cycling community around the world. He also founded Play for Change, a global charity that uses sport and media to support children in disadvantaged communities. Andrea studied Public Relations at IULM University in Milan, and graduated in 1996.